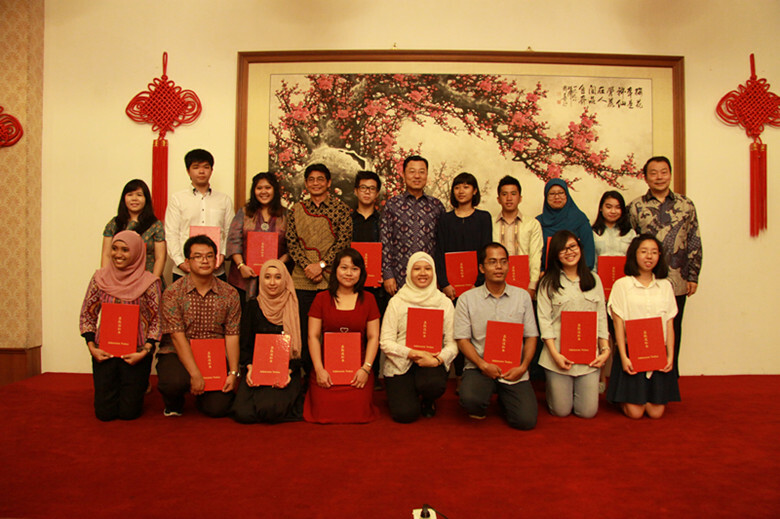 On August 18, 2015, the Chinese Embassy held a reception for the Indonesian students who were awarded 2015-2016 Chinese Government Scholarship. H.E. 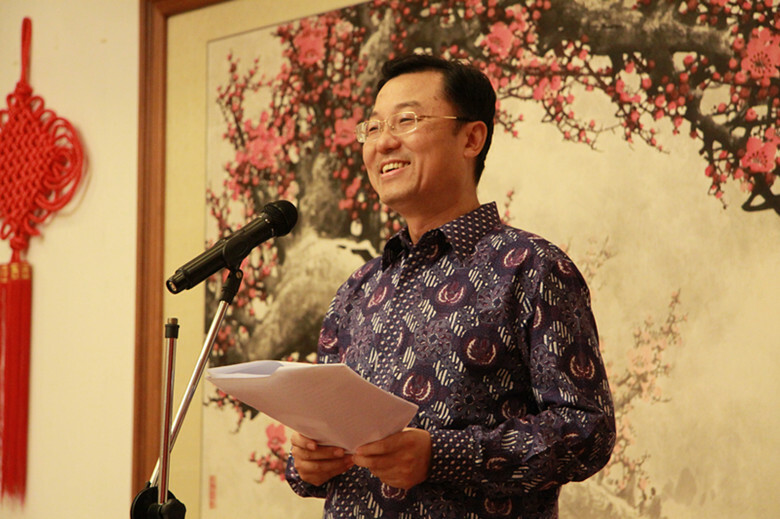 Ambassador Xie Feng presented admission letters to the students and delivered a speech. Dr. Intan Ahmad, Director General of Learning and Student Affairs, Ministry of Research, Technology and Higher Education, 20 scholarship recipients and some of their families, as well as representatives from Alumni Association for Indonesian Students Studying in China, Board of Mandarin Education Coordination and Confucius Institute at Al Azhar University attended the reception. In his remarks, Ambassador Xie extended his warm congratulations to the award-winning students and spoke highly of their hard work. He noted that China-Indonesia relations have entered one of the best periods in history, with the strengthening political trust, deepening economic and trade cooperation and vigorous cultural and people-to-people contact. The bilateral educational exchanges also maintain a very good momentum. In 2014, the Indonesian students studying in China totaled 13689, 489 of whom received various scholarships from Chinese government. 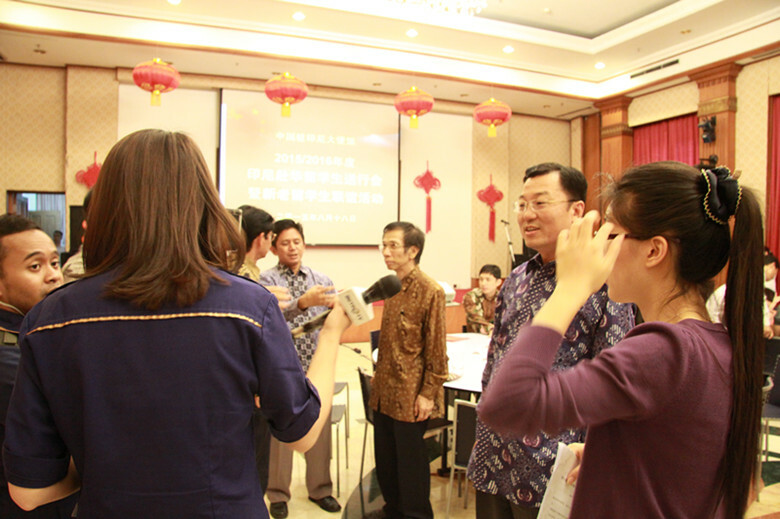 The China-Indonesia High Level People-to-People Exchange Mechanism, established in May 2015, has opened up broader and brighter prospects for the bilateral educational and cultural exchanges. Ambassador Xie made three suggestions to the students. The first one is to adapt to the climate and dietary habits of China as soon as possible, so that they can begin the study life with a healthy body and good state of mind. The second one is to study hard and learn more knowledge, so that they can build a better Indonesia by using their knowledge. The last but not least, is to travel around China and make friends with Chinese people during their stay in China. 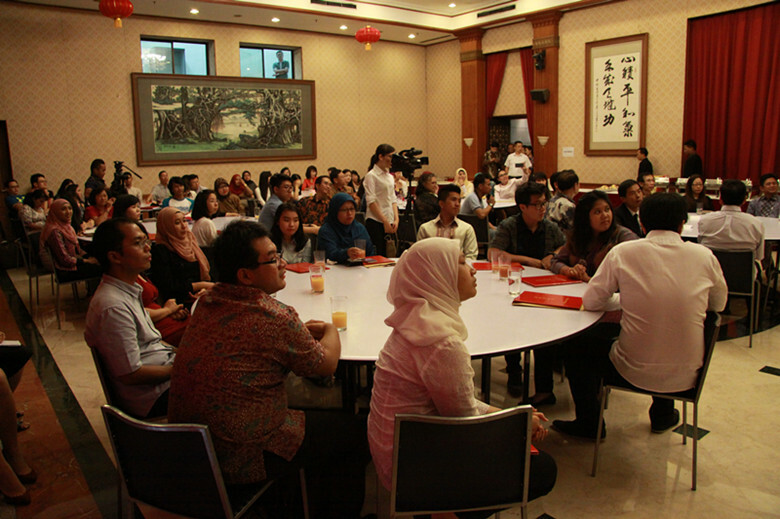 By learning and experiencing Chinese culture, the students are expected to be the envoys of China-Indonesia friendship and contribute to the long-lasting friendly ties. Director General Intan Ahmad expressed his sincere thanks to Chinese government for offering scholarships to Indonesian students. He hoped the two countries could further strengthen educational cooperation and cultivate more talents for both countries. Julia, who will study in Tsinghua University this September, said on behalf of the Scholarship recipients, that they would try their best to learn knowledge, broad their vision, make more Chinese friends, experience Chinese culture, and make contributions to China-Indonesia friendship. Fu Bida, representative of Alumni Association for Indonesian Students Studying in China recalled her experience studying in China and expressed her best wishes to the younger students. The scholarship recipients are from Jakarta, Bandung, Surabaya, Yogyakarta, Bali, Kalimantan, Sumatra and Sulawesi. They will start their academic year this September in different Chinese cities including Beijing, Shanghai, Tianjin, Nanjing, Wuhan, etc.